Finally a release date for Kinpri 2’s bluray!! It was announced during the “KING OF PRISM SUPER LIVE MUSIC READY SPARKING！”event on October 21. Be careful if you want to order it, as there’s two different preorder limited editions. The first limited edition is called the 速水ヒロ プリズムキング王位戴冠記念BOX/Hayami Hiro Prism King Crowning Ceremony Commemoration BOX. The second one is just called “preorder limited edition”, is cheaper and has less things. A new drawing of Hiro enclosed in a case, a mini version of the movie’s script, a booklet, and unspecified other goods. A first dvd/bd disc will have the movie and a collection of the ads and trailers. Depending on which shop you preoder either version, you also get a different bonus goods. They’re listed on the official site article linked in the tweet. Lastly it has also been announced the movie has now earned 600 million yen. This entry was posted in Opinions on..., Pretty Rhythm and tagged King of Prism Pride the Hero, Kinpri, Pretty Rhythm on October 21, 2017 by rockmanshii. On August 29 the male/female separated Kinpri2 screenings were held, with Kato Emiri/Naru and Gotou Saori/Otoha doing the stage greetings, along with Avex producer Nishi Hiroko who was acting as MC like she often does. They announced that starting September 2, KING OF PRISM -PRIDE the HERO-/Kinpri2/Kinpra will have Prism☆Afureko/Prism Dubbing screenings. These screenings follow the same rules as ouenjouei/cheer screening(cosplay OK, cyalume OK, screaming OK etc), but all the characters’ lines are muted and subtitles are displayed, so the audience can dub the movie themselves. From September 2 to 8, theaters across Japan will show a sample version, made by the female characters’ voice actresses. Confirmed so far are Kato Emiri/Naru, Uchida Maaya/Wakana and Mikako komatsu/Ito. Moreover they confirmed this sample dubbing will be included as bonus in the KING OF PRISM -PRIDE the HERO- Bluray. There’ still no release date for it though. More things about the event: According to both news site and fans’ reports on Twitter, the audience’s reaction was tremendous when they announced the female seiyuu’s dubbed version, and Kato san Gotou san and Nishi san all got moved to tears. When Nishi san asked them who’s they’re favorite character in Kinpri 2, Gotou Saori said Kakeru and Kato Emiri said George. When asked about how they felt when dubbing Kinpri 2, they said that instead of thinking that the boys became girls, they just voiced out their feelings naturally. They think people will do the same when attending Prism Dubbings screenings, and they even made a Twitter hastag for it: #ありのままのキンプラ, which can be translated as “Kinpra the way you feel it”. This is pretty cool news so making a post specifically for it instead of simply reporting it on Twitter. I’m already extremely hyped to watch the movie. And now I’m ever more hyped to watch thegirl’s dubbed version. 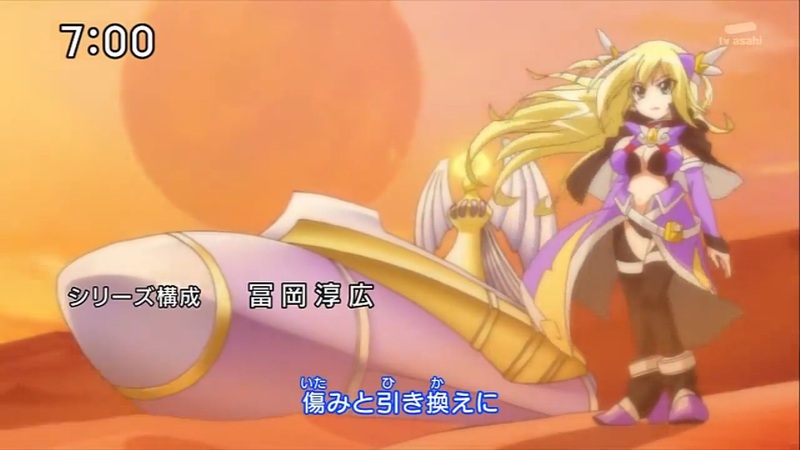 Can’t wait to hear Naru wakana and Ito voice Alexander. Kinpri got into anime history in 2016 and made Cheer Screenings popular. Tons of other movies are doing it now. These new Prism Dubbing are interesting, as it shows they know Kinpri was ahead of it’s time with the cheer screening (though technically speaking it wasn’t the first movie who did it) and so they want to keep their lead. Like a technology race. Prism Dubbing is pretty much the next step after Cheer Screenings, allowing you to dub the whole movie. Surely this will become popular as well. Pretty Rhythm is such an exciting series. I wish I’d be able to write about it in some official news site or magazine. There hasn’t been an official announcement yet, but Amazon started listing a KING OF PRISM -PRIDE the HERO- setting book to be released on October 25 2017. This is basically the guidebook of Kinpri 2. It’ll definitely have new information, along with all the background information the director and staff talked about at various stage greetings since the movie’s release. I have that info already, thanks to fans on twitter always writing reports, but I haven’t read it yet to avoid spoiling myself, and waiting for the DVD/BD release. If God wills, I’ll definitely get this new book and translate the interviews in it, like I’m doing with the others guidebooks. I’m kinda busy these days so I haven’t got the time to translate a new interview in a while though. I still haven’t finished translating the ones in the PRASS guidebook. After asking a fan(Thank you Sakuramochi san), I realized I got this all wrong, I’m terribly sorry. Actually the Prism Afureko thing is much simpler than that. You know how Kinpri 1 had scenes which were subbed, and the audience would dub them during Cheer Screenings. Needless to say there’s scenes like this in KING OF PRISM -PRIDE the HERO- too, and these Prism Afureko screenings has the girls seiyuus dubbing these scenes instead of the audience. They didn’t redub the whole movie with the girls, nor do you get to dub the whole movie yourself. 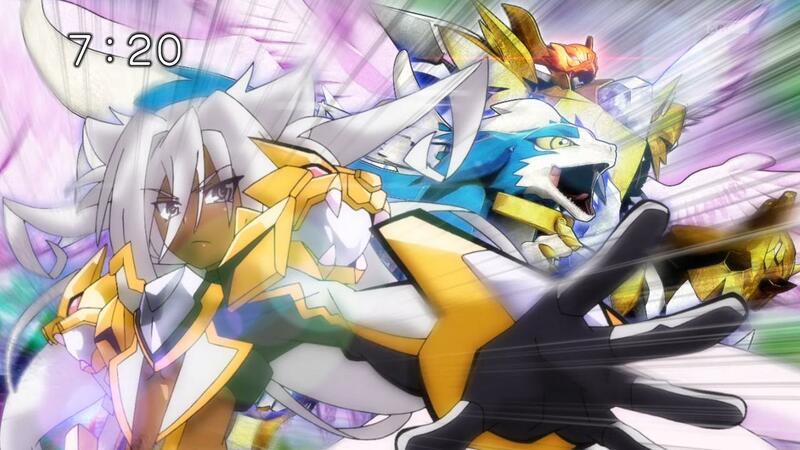 You dont’ get to see stuff like Naru voicing Alec for a scene. Again I’m sorry. Not the first time I get something wrong but it’s been a while since it last happened. This entry was posted in Opinions on..., Pretty Rhythm and tagged KING OF PRISM by PrettyRhythm, King of Prism Pride the Hero, Kinpri, Pretty Rhythm on August 29, 2017 by rockmanshii. 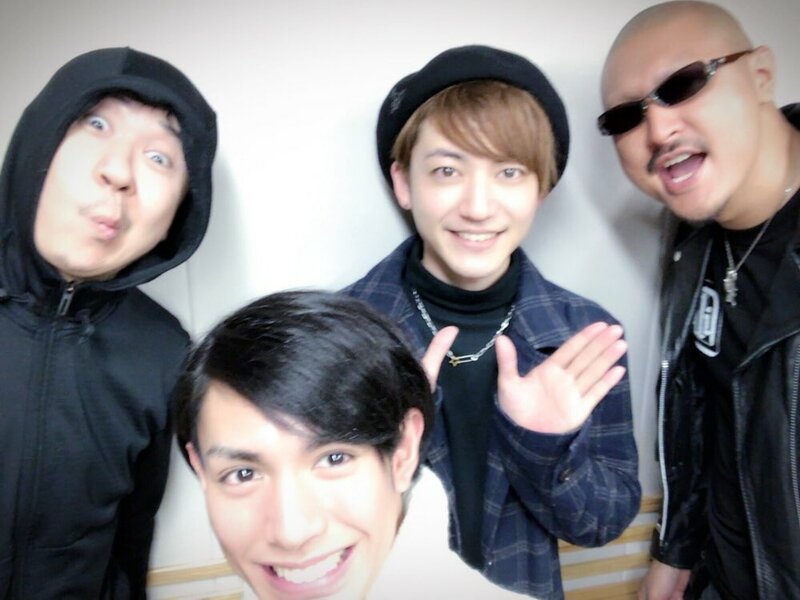 These days I’m trying to save all the info I see from stage greetings with the seiyuus, interviews post movie release which contain spoilers, the Kinpri radio(the episode scheduled for June 23 will have Director Hishida Masakazu answering fanmail questions on the movie, next episode will have Kakihara so I think they’ll keep inviting seiyuus) etc etc. I’m waiting until seeing the movie before I read&publish all this, to not spoil myself. If God wills, when the movie is out on DVD, I’ll first do an impressions post without reading these to not “contaminate” my own impressions, then I’ll do another post with all the info I gathered. 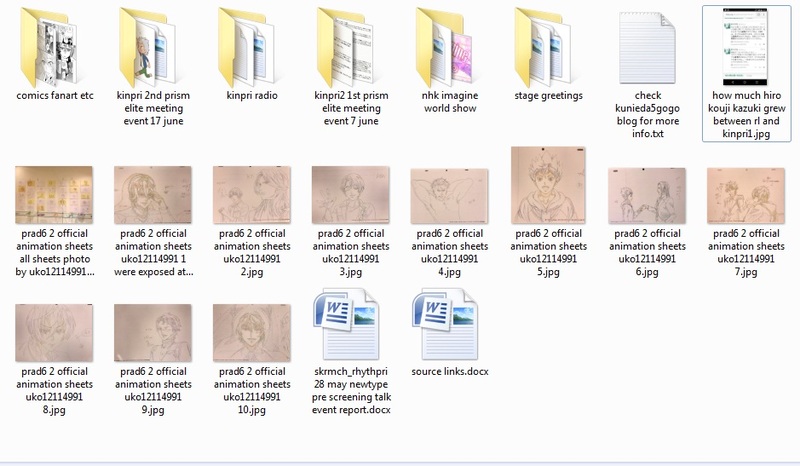 I’m gathering everything in a folder. I remember that a lot of the info director was tweeting during Pretty Rhythm’s run on TV from 2011 to 2014, and info from the RL After Party and such events, ended being reworded/compiled in the Rainbow Live Guidebook and the All Star Selection Guidebook. 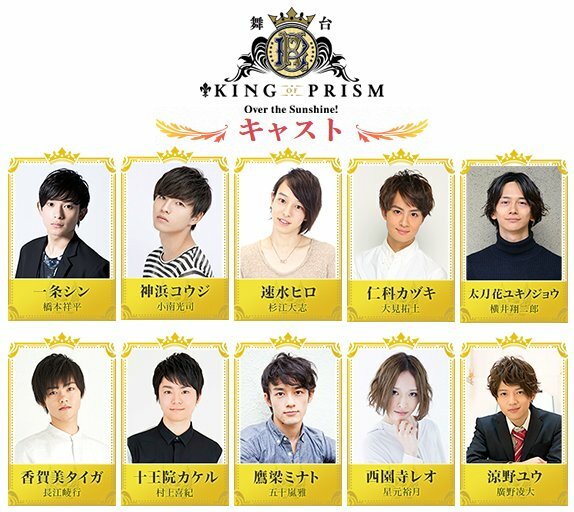 So I’m pretty sure all that Kinpri2 info from stage greetings, prism elite meeting events, etc will probably be compiled in a new KING OF PRISM -PRIDE the HERO- Official Guidebook. But I’m saving it anyway just in case. If a KING OF PRISM -PRIDE the HERO- Official Guidebook happens, I’ll try to buy it and translate it like I’m doing with the others. 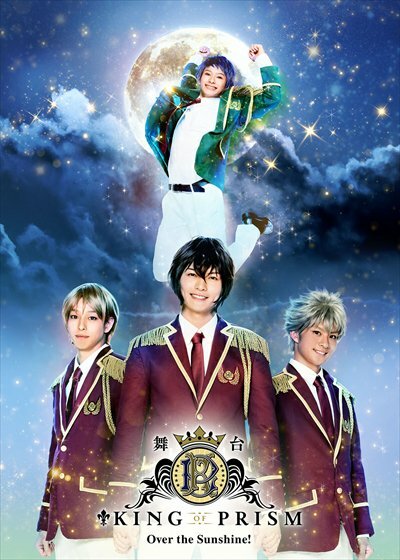 Source Director also said at one of the stage greetings that after finishing Kinpri2, his inspiration ran out, but by going to the various stage greetings and events with the seiyuus, hanging out&eating with them, he can feel the characters are still growing, and they might do another new sequel. He said that for now though, the second movie’s screenings and cheer screenings need to do well. Gonna sound like a teen youtuber, but as I won’t make a post for every threshold, if you want news asap remember to follow my Twitter, which I linked above. This entry was posted in Opinions on..., Pretty Rhythm and tagged Anime, King of Prism Pride the Hero, Kinpra, Kinpri, Kinpri 2, Pretty Rhythm on June 21, 2017 by rockmanshii.